The ‘Telephone Exchange,’ themed tea room highlights the history of the building and is situated on the ground floor. 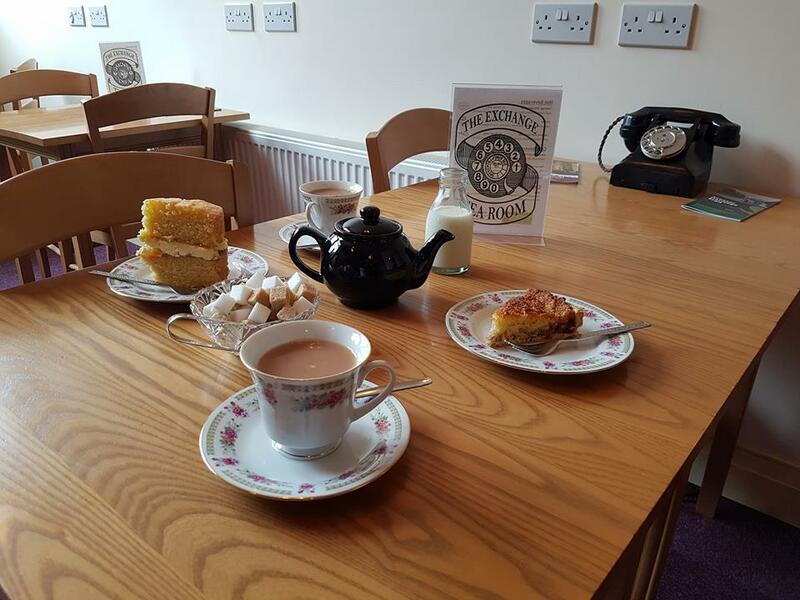 The ‘Telephone Exchange Tea Room’ serves a lovely range of refreshments including twining’s tea, kenco coffee, hot chocolate, fentiman’s fizzy drinks, spring water, ribena and a wonderful choice of cakes. Hot drinks include a complimentary packet of biscuits and the tea room is open every Tuesday, Saturday and Sunday and is well worth a visit! The tea room is open to visitors and non-visitors of the Centre. The tea room also has decaf, peppermint and cranberry and orange tea available. All hot beverages also include complimentary shortcake, chocolate chip, fruit or ginger biscuits. Fentimans drinks include a choice of Cherry Cola, Dandelion and Burdock, Ginger Beer, Rose Lemonade and Lemon Shandy. The Exchange Tea Room has a selection of homemade cakes and the choice changes weekly, so please check with a member of staff for each open days flavours. The cake choices include lemon drizzle, coconut tart, coffee cake, bakewell tart, victoria sponge and chocolate cake for £1.25 per slice. The tea room has a food hygiene certificate rating of five and please check with a member of staff before ordering in regard to food allergies and intolerances. 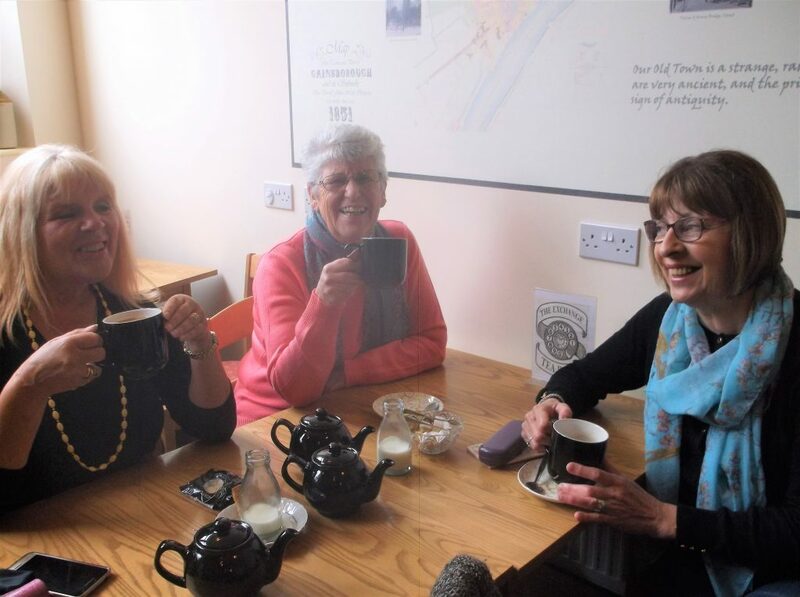 Exchange Tea Room visitors below enjoying their cup of tea! 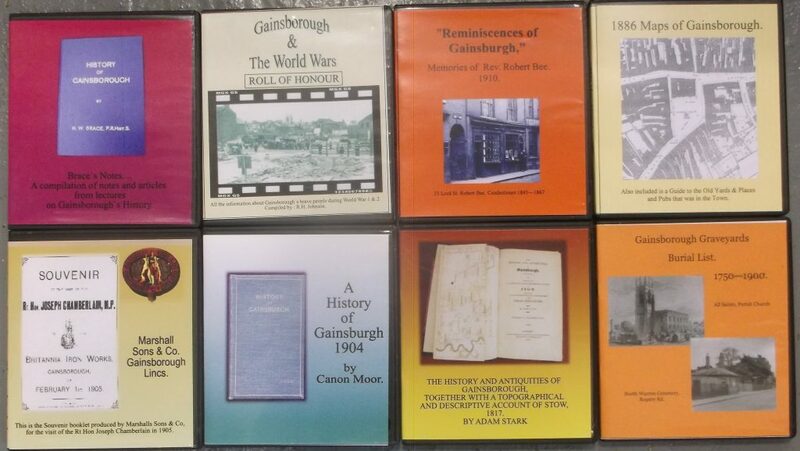 The Centre's shop stocks a range of local heritage books, CDs and DVDs relating to Gainsborough's history (items listed below). Items are available to purchase directly from the Gainsborough Heritage Centre or posted by request. There are also a collection of twelve different replica packs of resources or information available to purchase relating to the First World War such as newspapers and ration cards as well as a DVD set and Heritage Centre postcards. The final book of 'Gainsborough's War Story' written by Peter Bradshaw, focuses on the main events of 1918 including the Spring Offensive when Germany made huge advances and many local soldiers were killed, wounded or captured and includes the final 100 days that culminated in the Armistice on 11 November 1918. On sale now at the Gainsborough Heritage Centre for £15. Find out more here. Tells the story of a popular local school. Packed with memories from former pupils and photographs. A history of this popular local school in hardback format with photos, memories and even school reports! A history of this school with photographs and memories. Fowler Leeds 40 b.h.p. Diesel Locomotive Publication No 2592. This softback 129 page book gives a fascinating account of the Society of Friends in Lincolnshire. It covers the start of the Society of Friends until 1989 when the book was published. Built by the Mercer family, ‘Gainsborough’s Lost House’ was later purchased by the Gamble family – then was home to Dr Moxon – after that became the Convent School (before its removal to Lea Hall), and finally became the Masonic Lodge. Home to the Iveson family (solicitors down Lord Street) then bought by Charles Richmond (solicitor), and given to the town of Gainsborough. Hosted many art exhibitions by local and eminent painters. Starting at the National Westminster Bank, and ending down Curtis Walk, step inside the Grand Cinema, then make a purchase at Bomers Store. Call in at the HSBC Bank, and find the George Eliot connection, and how about a drink at the Black Head pub? Starting at Dixons the drapers, and ending at the Public Benefit shop. Pop into Barrow’s grocery shop, make your will at Burton & Dyson, borrow a book from the New Way Library, or pick up a newspaper at Caldicotts. Tells the story of a Church moved from London in 1896, and rebuilt at the corner of Ropery Road and North Warren Road in Gainsborough. This book is full of memories of the community spirit of this Church, and illustrated with wonderful photographs. This insightful book allows us to look back at when the town had thriving pub and inn businesses. It takes a look at some of the ‘locals’ and for the first time it includes a list of publicans or occupants within the pub yards. This A4, 32 page book has 26 recipes to choose from including: Potato Scones, Mock Duck, Sugarless Apples Dessert, Brown Betty and Vinegar Cake. This book looks back at how the War changed the town of today. This book has been carefully updated to enhance the original author’s work. Find out where was targeted and bombed then take a look at the aircraft involved in the air attacks on the area. This book has been brought up-to-date with much more information on the X-Craft and of the role it played. This version includes some new pictures and information on the people that were involved with the X-Craft during its war years. This book is relating to research of the official list of naval officers, their ranks and seniority, the ships which they commanded or to which they were appointed, etc., that was published by the government or naval authorities of a country. This book shares the early years of Gainsborough's War Story through the pages of the Gainsborough News. This book shares Gainsborough's War Story through the pages of the Gainsborough News and includes the 8th Lincolns at Loos, the 5th Lincolns at the Hohenzollern Redoubt, Gallipoli and letters, 'From Your Loving Son Jack'. 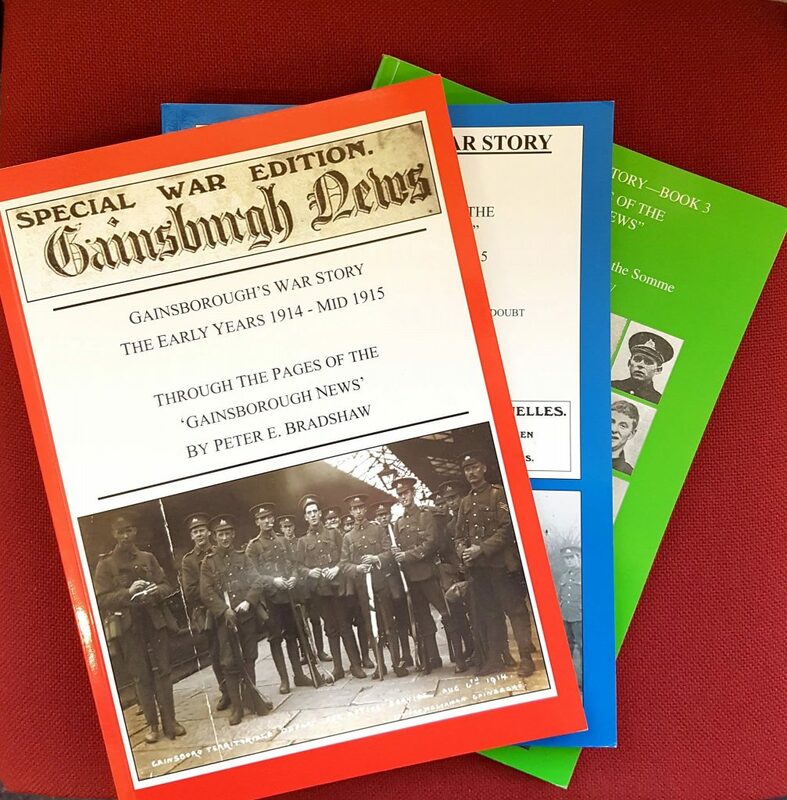 This book shares Gainsborough's War Story through the pages of the Gainsborough News during 1916 and includes the Battles of Jutland and the Somme. This book takes a look at some memories recalled to Mr. Stan Otter. The original interviews have been transcribed, so for the first time you can read these ‘raw’ accounts from local people. The language has been kept true to the recordings which gives us some wonderful examples of our local dialect. In this book, you can read about the 1947 floods, and now it includes information about the recent floods and the new defence works on the Riverside, brought to life with personal accounts and evoking images. This book takes a look at some of the famous people that were born in the area. Read about how the town influenced them. So how many people do you know that came from the Town? Let’s find out.. This 143-page A4 sized book tells the history of the Gainsborough Division. Discover how the Division was formed and how it helped in two World Wars, met with Royalty and leading members of the British Establishment and continues its work today. There is also the history of The Temperance Hall. Oscar Wilde came to the Hall to give one of his famous lectures. The Hall was also home to the Gainsborough Young Farmers, 5th Battalion Lincolnshire Regiment and Symingtons. Phyllis known as Nurse Peart was born in Beaumont Street, Gainsborough towards the end of 1919 and attended Gainsborough schools. She did her general nursing training at Scunthorpe hospital during the Second World War. She then trained as a midwife in Sheffield and became a district nurse and midwife in Scunthorpe. Memories of Gainsborough from people who lived in the town. Compiled from Norman Cawkwell’s postcard collection of local scenes. The Story of King John's visit to Scotter in 1216 as depicted in an embroidery created to celebrate the 800th anniversary of that event. Produced by Beckingham and Saundy History Group to record and capture the history of the Old Willow Works. This book details the history and remarkable story of ‘Fred Spiksley’, showcasing the Gainsborough born, football hero who first played for Gainsborough Trinity and went on to play for England. By Clive Nicholson, Ralph Nicholson and Mark Metcalf. 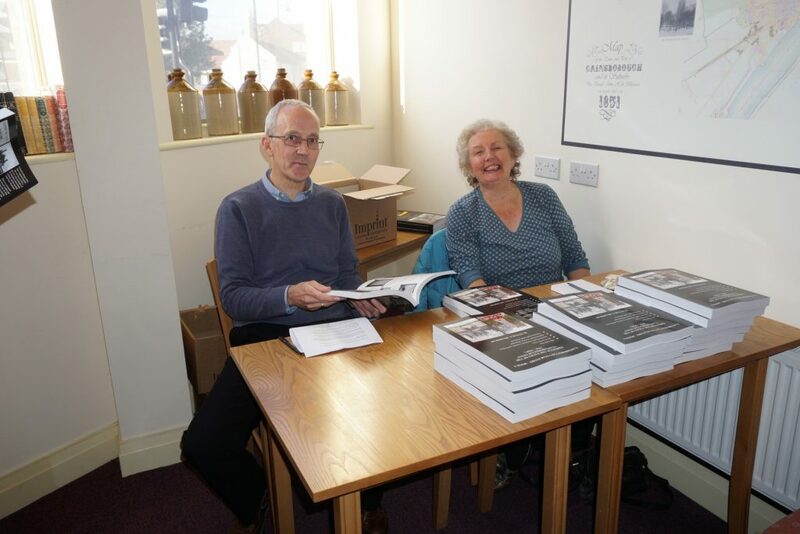 Willoughton Local History Society created a book covering the history of the two inns in the village - The Stirrup and The Plough and Harrow capturing the many changes the inns have undergone and the surival of the Stirrup into the 21st century. Lincolnshire has a great tradition of story-telling and myth-making, reflecting its true character as one of the most mysterious and rural of the English counties. Stories of saints, demons, wicked men and nocturnal goings-on proliferate, perhaps more than any other county. These entertaining, informative and often humorous stories broadly reflect the old battles of Light versus Dark in stories of Vikings against monks, saints against devils, romantic lovers against wicked parents, with the odd pirate, lustful friar, and mad politician mixed in for good measure. 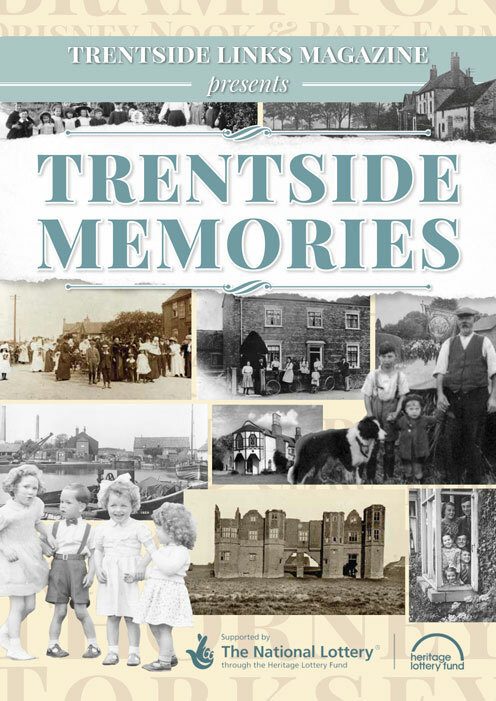 This book recorded the life, culture and images from the history of the local villages and hamlets including Brampton • Drinsey Nook • Fenton • Gate Burton • Kettlethorpe • Knaith • Laughterton • Marton • Newton on Trent • Park Farm • Stow Park • Thorney • Torksey • Torksey Lock. Find out more information on the blog. This resource is especially useful for the family historian or those of you who have special interests in the towns history. Including Parish Church, North Warren, Holy Trinity and St Paul’s, Morton. 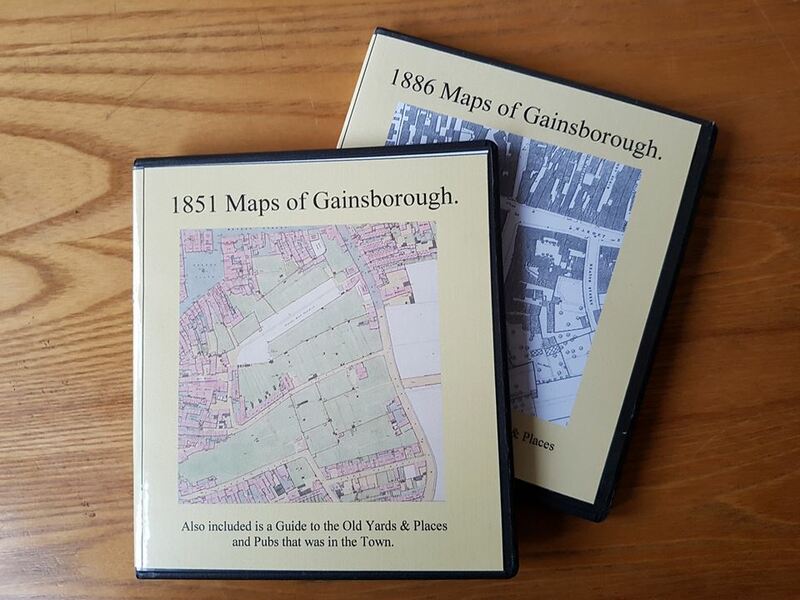 Listings of Gainsborough people and where they lived. Years available include 1822,1828, 1835, 1841, 1842, 1856, 1872, 1876, 1882, 1889, 1892, 1900, 1905, 1909, 1913, 1918, 1926, 1933. This CD is a fantastic resource of maps and includes a guide to the old yards, places and pubs that was in the town. The Britannia News was the Works Journal for Marshalls. Each DVD contains PDFs of the Journal for each month of that year. The years 1958 to 1966 currently available.